Founded in 1939, St. Hubert’s Animal Welfare Center operates animal shelters in Madison, North Branch and the Noah's Ark Campus in Ledgewood NJ. We welcome animals directly from guardians, animals rescued by our animal control officers, from overcrowded shelters across New Jersey, from disaster situations, and from distance partners. Our nationally renowned Training and Behavior Center, located at our Madison campus, offers specialized training classes and behavior consultations. Additionally, St. Hubert’s provides a variety of community services, including pet adoption, humane education, a pet food pantry, low-cost spay/neuter of community cats, a pet helpline, and a professional education series. We regularly advocate for animal welfare legislation and work to engage our community to help us protect animals in N.J. and beyond. In addition to our role as a nonprofit organization, St. Hubert’s provides animal control services to a number of municipalities in Somerset and Morris counties. Officers assist domestic animals and wildlife in need, and provide educational information to reduce human-wildlife conflicts. St. Hubert’s Animal Welfare Center is a registered 501(c) (3) non-profit organization—Federal Tax ID 22-1627726. Our animal welfare and community service programs are supported by contributions, grants and bequests for program continuation and expansion. St. Hubert’s Giralda is dedicated to the humane treatment of animals. The organization believes in and provides services that support the human-animal bond and seeks to foster an environment in which people respect all living creatures. St. Hubert’s Animal Welfare Center is a private, nonprofit organization dedicated to the humane treatment of companion animals. It operates animal shelters in Madison and North Branch, New Jersey and one of the largest professional dog training and behavior centers in the country. Humane Education and Pet Therapy Visitation are among its programs offered to the community. St. Hubert’s also provides animal control services by contract in several municipalities in proximity to the shelters. How do I adopt an animal at St. Hubert’s? St. Hubert’s provides community animal control service to a number of municipalities in proximity to our shelters, offering rescue and safe refuge for lost, stray, abandoned or surrendered pets. Our lifesaving, four-tiered outreach program enables us expand our local, regional and national reach, working in collaboration with other organizations at all levels. We participate in organized programs which invest in the source communities toward solutions to the overpopulation of dogs and cats in their areas. Any animals transported from other areas of the country to St. Hubert’s have been fully vetted and vaccinated prior to arrival and no local animals in our care are displaced to accommodate them. Is St. Hubert’s A “No Kill” Shelter? St. Hubert’s does not like the use of the term “no kill” when referring to a shelter or rescue. We find it to be divisive among animal welfare professionals and often misconstrued by the public because people define “no kill” in different ways. While St. Hubert’s meets the definition when applied to shelters that do not euthanize for space, we prefer to explain what we do and how we do it in clear terms rather than apply a label. St. Hubert's meets the "no kill" organization definition as defined by Maddie's Fund, but we do not use the term "no kill." For more information on the Maddie's Fund definition of "no kill," please click here. We do not limit our intake to falsely post favorable statistics. Our certified behavior counselors are able to address and properly modify a variety of behaviors and only animals whose level of aggression makes them too dangerous to offer for placement or those so badly injured or ill that management affording a comfortable quality of life cannot be achieved are humanely euthanized. Our staff provides tender loving care to every animal regardless of age, health or behavior. If I find an animal can I bring it to St. Hubert’s? Lost animals need to be relinquished to the agency that provides animal control service to the municipality in which they were found in order to optimize the chances for reuniting them with their guardians. No matter the circumstances in which you find an animal you can never be absolutely certain that it has been abandoned so it is important to follow procedure for a lost pet before taking any further action. Local police and health departments can direct you to the proper agency; personnel at either of our shelters can offer guidance as well. If I have an animal I can’t keep can I bring it to St. Hubert’s? Unfortunately situations arise that make it necessary for guardians to seek new homes for pets. At other times there is an issue that can be resolved with a little help, allowing the pet to remain in its home. If you have a pet in need of a new home please call your local shelter or either of St. Hubert’s shelters for information and advice regarding your particular situation and needs. How is St. Hubert’s supported? St. Hubert’s does not receive government funding and is not, as many people assume due to our shared founder, funded by The Geraldine R. Dodge Foundation. We rely on the generosity of private donors, foundations and grantors who share our compassion and commitment to the mission. A small endowment provides limited income to supplement operating expenses. St. Hubert’s supports the development of alternatives to the use of animals in biomedical research and testing. We advocate and encourage the eventual end to the use of animals in research, testing, and education that cause harm to animals. Until the time when that is achieved, we support the strengthening of animal experimentation oversight by state and federal agencies. We also support the inclusion of all vertebrate animals in the federal Animal Welfare Act, from which most rats, mice, and birds are currently excluded. We oppose the forced release of animals, living or deceased, from public or private animal shelters (including animal control agencies) to medical research or other related facilities that use animals for research, testing, or education. This practice is banned in the state of New Jersey and we voice concern over any place where it is still legal and practiced. St. Hubert’s believes that students of all ages should be provided an education that instills a respect for animals and emphasizes the value of animals as living, sentient creatures who share our world. Educating school children about the wonders of biology is one way to instill an appreciation on the intrinsic value of animals. In primary and secondary education we do not support curricula that include the use of animals for dissection or other activities that may cause harm. Alternatives to such animal use are widely available and should be used. St. Hubert’s believes that dissection and use of live animals is inconsistent with general appreciation and respect for animal life and should be avoided if alternatives are available. In post-secondary and specialty education, St. Hubert’s recognizes the importance of medical education pursuits that seek to improve human and animal health. Sophisticated technology exists to create meaningful teaching experiences in place of live animals—evidenced by the fact that all U.S. and Canadian medical schools were free of live animal use (effective 2016). Further, St. Hubert’s opposes the not uncommon veterinary training practice of using of healthy, treatable animals in terminal surgeries where the animals are euthanized rather than woken up and cared for after surgery. With appropriate supervision, we support veterinary students gaining practical experience by working with animals (such as shelter animals) who will benefit from the procedures. The primary purpose of medical research and drug testing is to promote human health, and St. Hubert’s believes that the most direct research methods focus on the study of human populations, individuals, and tissues. Animal research has been used as an alternative method when the study of humans is deemed impractical or unethical, or when animal biology is of primary interest. The testing of pharmaceuticals is a critical area in which animals can be spared and human health improved through a move toward non-animal methods. According to the federal Food and Drug Administration, more than 90 percent of drugs that prove safe and effective in animal tests fail during human clinical trials. This crisis has led federal agencies to spend tens of millions of dollars on “human-on-a-chip” research projects, a promising non-animal testing method. St. Hubert’s believes that the exploration and implementation of non-animal methods should be a priority for investigators, research institutions, and agencies and organizations that fund such research. Lastly, the process of replacing animals in research and drug testing is supported by studies showing that routine laboratory procedures and typical laboratory environments are more stressful for animals than is commonly appreciated. St. Hubert’s is opposed to the use of animals in product testing. Animals used in the testing of personal care and household products are often subjected to pain, stress, and death. Further, the results of these animal tests often fail to translate to the human population to determine the harmful effects of the products. Fortunately, many personal care and household products which are not tested on animals are now available. St. Hubert’s encourages consumers to buy products labeled “cruelty free.” Countries around the world are increasingly realizing the limitations of animal experiments and are banning the use of animal experiments for cosmetics, personal care, and household products; we support this position. Barking is a natural behavior for dogs. Chronic or excessive barking in dogs may be caused by improper socialization, stress, boredom, fear or frustration. Surgery stops the barking, but does not address the cause of the barking. While no dog can be trained to stop barking completely, most dogs can be trained to reduce barking through behavioral modification after owners understand the reason for the excessive barking. Scratching is a normal behavior for cats. Cats scratch to mark territory, stretch and maintain the health of their claws and their claws are important to their safety when threatened. Destructive scratching can be prevented by providing the cat with suitable scratching surfaces, claw trimming, synthetic claw caps and behavior modification. Given inherent risks, including complications, from surgery as well as the denial of natural behaviors and related impact on animal well-being, St. Hubert’s is opposed to declawing domestic cats and debarking surgery in dogs to modify behavior and whenever not medically necessary. St. Hubert’s recommends that non medical methods of preventing undesirable behaviors be used. St. Hubert’s is opposed to cosmetic surgery that is performed solely for the purpose of guardian convenience or to alter the animal’s appearance. Such procedures include tail docking, ear cropping, and tail myotomy, if such surgeries are performed for nonmedical reasons. Accordingly, St. Hubert’s encourages the elimination of tail docking and cropping from breed standards. St. Hubert’s supports the practice of “ear-tipping” the left ear in anesthetized cats in feral cat management to reduce unnecessary future trapping, impoundment and potential euthanasia of community cats. St. Hubert’s believes that all animals should be treated humanely and with compassion throughout their lives. St. Hubert’s supports the five freedoms for any animal kept by man – from homes to farms: Freedom from hunger and thirst; freedom from discomfort; freedom from pain, injury or disease; freedom to express normal behavior and freedom from fear and distress. Animal agriculture has changed drastically over the last 70 years. Intensive confinement systems that deny animals from engaging in natural behaviors and fail to meet their most basic behavior needs, inhumane transport and billions of animals slaughtered have become commonplace as has the genetic manipulation of animals that causes rapid growth, pain and suffering. St. Hubert’s recognizes its responsibility to raise awareness of welfare issues related to raising, housing, care, transportation and slaughter of animals raised or caught for food as part of its animal welfare advocacy work and shall encourage welfare conscious consumerism, reduced animal product consumption and shall advocate for more humane farming methods. Consistent with mission St. Hubert’s events shall be vegetarian. St. Hubert’s opposes the use of wild animals for the purpose of entertainment. St. Hubert’s believes that maintaining wild animals in unnatural conditions is insensitive and potentially inhumane, and that entertainment activities like circuses, fairs, parades, travelling exhibits, and destination parks subject wild animals to stresses such as unnatural living conditions, rigorous travelling, constant exposure to new surroundings, potentially abusive training and are harmful to a humane society that recognizes and respects the intrinsic value of creatures and their desire and right to a natural existence. We believe removing wild or exotic animals from their natural habitat, or maintaining captive-bred for the purpose of entertainment or competition can be harmful. The psychological, social and physical needs of these animals are difficult to satisfy and maintain in a captive setting. We are committed to legislative efforts to institute and enforce comprehensive laws that create a more humane world for animals. St. Hubert’s will educate its members and the public on the realities of the cruelty that is inherent with such events and venues. St. Hubert’s is opposed to dog racing because it is often linked with cruel practices. Some trainers still use live rabbits or other animals despite laws and regulations that prohibit such methods. The Greyhound racing industry overbreeds dogs, resulting in the euthanasia of dogs who are unable to be placed into homes. St. Hubert’s opposes an industry that creates an unwanted surplus of animals. The same concern regarding the surplus of animals is present in the horse racing industry and due to the large number of dogs and horses and the financial motivation of the sport, animal neglect and cruelty can happen in both the dog and horse racing industries. We encourage and support adoption efforts for retired racing animals. St. Hubert’s is opposed to rodeos and other entertainment events that produce pain, injury or stress to animals. The competitiveness of these events can result in the abuse and mishandling of the participating animals. Rodeo animals commonly are subjected to pain and stress and ongoing risk of injury. Furthermore, rodeos may encourage insensitivity to the abusive treatment of animals for the purpose of sport and entertainment. St. Hubert’s is strongly opposed to the farming, trapping, and killing of fur-bearing animals for clothing and accessories. Trapping and killing animals to produce fur garments and fur-trimmed objects causes immeasurable suffering and pain to wild animals. It is unnecessary and a callous disregard for suffering and life of the animals when thermal and/or decorative man-made materials are readily available. Ranch animals spend their short lives in small cages, denied interaction with other animals to avoid damage to the pelts. The stress of close confinement and lack of natural activity sometimes causes unnatural behavior such as excessive pacing and self-mutilation. In addition, methods of killing the animals are often inhumane. Because many consumers are not aware of the cruelty involved in bringing fur products to market, St. Hubert’s supports efforts to educate the public to eliminate the demand for these products. St. Hubert’s does not support the notion of raising animals exclusively and explicitly for their skins or feathers. St. Hubert’s believes that under most circumstances wild animals should be permitted to exist undisturbed in their natural environments. However, we recognize the widespread existence of zoos and aquaria and acknowledge that some accredited zoos serve a demonstrable purpose in the long-term benefit of animals, such as the preservation and restoration of endangered species and the education of people to the needs of wild animals and their roles in ecosystems. St. Hubert’s believes that in order to justify their existence, zoos and aquaria must serve a meaningful purpose, maintain the animals in exhibits most closely resembling their natural habitat, and make every effort to meet the biological, behavioral, and social needs of the captive animals. St. Hubert’s also believes that guidelines that set forth the purpose of maintaining each species should be established. St. Hubert’s is opposed to substandard zoos and aquaria, roadside zoos and menageries. Most of these attractions exist solely for public amusement and operate in a manner inconsistent with modern zoological practices. St. Hubert’s is opposed to the hunting of any living creature solely for fun, sport, profit or trophy purposes, because it subjects animals to stress, suffering, injury, and/or death solely for the entertainment of people. St. Hubert’s is opposed to illegal, indiscriminate and inhumane hunting of animals and recognizing that animals do suffer as a result of hunting and advocates for hunter instruction that incorporates humane education into its curriculum. St. Hubert’s is opposed to all forms of animal trapping that causes pain or suffering or is used for commercial or recreational purpose. St. Hubert’s specifically calls out leghold and body crushing traps as cruel devices that cause excessive pain and suffering to animals. Non-targeted animals, both domestic and wild, may be caught in these traps as well and suffer injury or death. We also feel there is a risk to people from these devices. Toward its goal of combating companion animal overpopulation, St Hubert’s Giralda advocates the spaying/neutering of dogs and cats at the earliest age deemed to be reasonable safe. St. Hubert’s is committed to eliminating the euthanasia of companion animals it deems to be adoptable. St. Hubert’s believes that euthanasia should be employed only as a last resort when all reasonable efforts to place an adoptable companion animal have been exhausted. However, if a companion animal is deemed unadoptable, St. Hubert’s may perform euthanasia. All euthanasia, whether on domestic or wild animals, is performed by certified personnel in accordance with accepted veterinary practice and New Jersey State law. Any animal euthanized by St. Hubert’s is cremated off-site at a state licensed animal crematory. St. Hubert’s believes that all healthy, treatable cats should be placed in responsible homes and receive the benefits of proper housing, food, veterinary care and human companionship. We also believe that cat owners/guardians should comply with state and local animal welfare and control ordinances. All cats entering the shelter will be held for the period of time required by law prior to placement unless surrendered by their owners. St. Hubert’s makes every effort to return cats to their homes and offers healthy, social cats and kittens for adoption to people who meet the organization’s criteria for adoption. St. Hubert’s is working towards the day when no healthy feral cat will be euthanized. St. Hubert’s considers a cat to be feral if it cannot be safely handled in order to receive proper care, such as a physical exam, medication and grooming. St. Hubert’s makes every effort to promote Trap, Neuter, Return (TNR) for feral cats, and return feral cats that are ear tipped and micro-chipped to the originating location when possible, and promote caregiver volunteerism and guardianship. St. Hubert’s will work with contracted municipalities and the community to encourage TNR as the preferred method of dealing with feral cats. Only when TNR is not an option and there are no alternatives will a cat be considered for euthanasia. Feral kittens will be removed from their mothers when it is determined to be medically safe in order to begin socializing. Once socialized, these kittens will be offered for adoption. St. Hubert’s recognizes that there are feral cat colonies managed according to specific guidelines (such as those published by Best Friends, Alley Cat Allies, HSUS, Neighborhood Cats and other organizations). St. Hubert’s will assist with trapping, transportation, and re-release in order to facilitate the procurement of neutering and/or vaccinations for cats being maintained in said colonies. St. Hubert’s believes that proper food and water, health care, housing and human companionship are essential to the well-being of dogs. St. Hubert’s is committed to placing dogs in responsible homes where they will live indoors as house pets. St. Hubert’s recognizes that there are occasions when an adult dog’s history indicates that adequate outdoor housing, together with proper food and water, health care and human companionship, creates an environment that the dog is comfortable with and will increase its chances for a successful adoption. St. Hubert’s will make such placements when warranted. St. Hubert’s believes that breed specific legislation and regulations are both unnecessary and unfair. We believe that a dog should be judged on its own actions rather than its genetics and responsible owners of any breed should not be penalized for simply owning that particular breed. While St. Hubert’s firmly believes that there should be serious consequences when a dog is dangerous or vicious and poses a threat to humans or animals, we also believe that New Jersey’s current dangerous/vicious dog law satisfactorily addresses those issues. St. Hubert’s believes that the inherent temperament and unpredictable behaviors of the wolf hybrid make it unsuitable as a pet. St. Hubert’s does not offer for adoption animals known or suspected to be wolf hybrids. St. Hubert’s does not permit the enrollment of animals known or suspected to be wolf hybrids in its dog training classes. St. Hubert’s may release a wolf hybrid to an individual or organization qualified to harbor it when such individual or organization provides rescue, housing and does not breed or promote wolf hybrids as pets. St. Hubert’s believes that people should co-exist in harmony with wildlife. St. Hubert’s recognizes that intervention is sometimes necessary to ensure public health and safety, and to provide humane assistance to injured, sick or orphaned wildlife in the community. St. Hubert’s provides humane assistance to sick, injured or orphaned wildlife under the terms of its municipal animal control service contracts. The organization also assists residents within these service areas with the humane removal of wildlife which has gained access to residential or commercial establishments in certain situations. All such assistance is provided by certified animal control officers in the manner most appropriate to ensure public safety and humane handling of the animal. Privacy and personal information security is very important to us and St. Hubert’s Animal Welfare Center fully respects the privacy of our adopters, donors and volunteers. 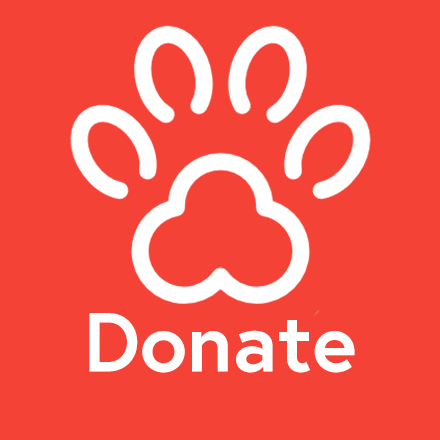 St. Hubert’s Animal Welfare Center collects personal information on the online donation pages to properly acknowledge gifts, enable donation transaction processing and send future correspondence. St. Hubert’s also provides the option make an anonymous donation. St. Hubert’s does not sell, trade or share donor information to any outside agencies, nor does it send donor mailings on behalf of other organizations.